Basera Indian Bistro, NYC. Well you already you know us for our AMAZING food, now it's time to see our renovation. We have completely changed our space, so come in for a great time! 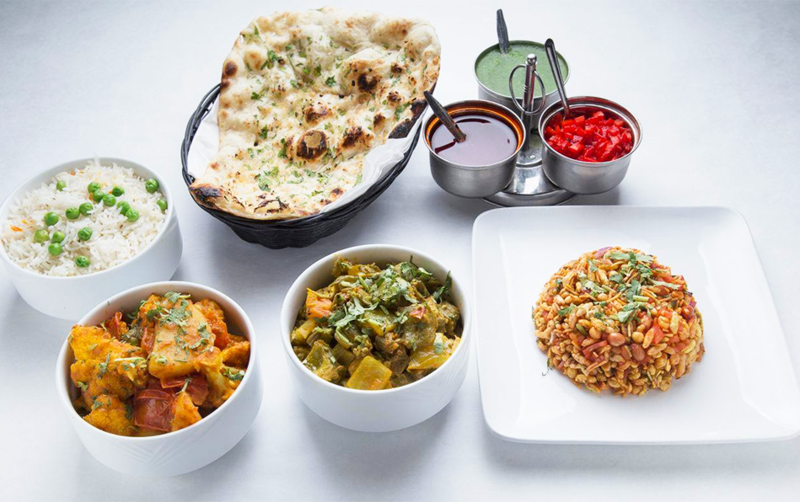 This gorgeous new Indian Restaurant located in the heart of New York City's Hells Kitchen, also known as Midtown West will provide you with a memorable meal of the tastiest Indian selections. Basera is the second location for owner and chef Anil Kumer, who also owner Midtown East's, Indigo. Basera has a large dining room that is open for both lunch and dinner. The dining room is open for parties and meetings, as well as people just stopping by for a wonderful meal. The decor and ambiance of the dining room will leave you smiling, just as the service of the waitstaff will. Northern Indian food has wonderful tastes and aromas, Basera is sure they will make you a meal that you will remember as delicious. Sun 1:30pm - 10:30pm .